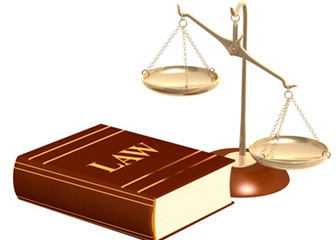 Legal studies can be defined as the interdisciplinary study of the theory of law. The field focuses on political, economic, and social factors that shape law in our country. The nature of law has undergone many changes throughout history and provides a framework for the implementation of legal systems and institutions. Apart from lawyers, judges, and arbitrators who make up an essential part of the legal system, there are a number of other jobs in this field such as paralegal assistants. Certificate programs in legal studies are short courses that aim at helping students develop career-oriented skills and build a strong foundation of legal knowledge. These programs are less extensive as compared to traditional bachelor or masters degrees. Certification is a designation that is earned by an individual which reflects his or her specialized expertise in a field or task. These short courses have experienced a boost in demand in recent years and are among the fastest growing sectors in education. The Wall Street Journal has offered some insight on how popular certificate programs have become. From year 2001 to 2011, certificate programs awarded have more than doubled to 249,000 from 106,000. With a legal studies certificate, you may enter the world of law and justice and get the job of your choice. This course is usually studied in the initial phase of the program. The basic purpose of this course is to provide students with a brief understanding of the legal system, identify main legal institutes, and familiarize themselves with the trial and litigation proceedure. This course allows students to learn how to draft legal documents and understand the fundamentals of legal writing. Throughout the coursework, students will be taught how to prepare legal briefs and analyze legal documents. Legal research is one of the most important courses found in paralegal certificate programs. This area emphasizes the research methodologies used in law. Students will learn how to use primary and secondary legal resources and conduct research with tools such as annotated statutes, legal dictionaries, digests, and citators. This course offers an overview of different legal entities and corporate structures. Students learn about the formation of such organizations and their functions. Criminal law can be defined as the principles and laws designed to prohibit illegal activity, and punish offenders. The course will focus on the administration of this law, crime components, and sentencing of criminals in our society. This is a basic course that allows students to understand the structure of law offices and functions. From employment and hiring to professional development, the course highlights many areas of the field. What Can You do With a Certificate in Legal Studies? With a certificate in legal studies, you can seek work in the law industry, law enforcement sector, and other federal/private organizations. Listed below are a few main occupations that you can consider. The income data has been provided by the US Bureau of Labor Statistics. Q:What are the contents of the course on Legal Research & Writing in the Paralegal certification programs? A:The Paralegal Certification programs in United States have dedicated courses on Legal Research & Writing. This course is worth 2 credits in total. It is designed to provide students with ample understanding of the basic concepts of grammar and punctuations. Students are also highlighted on the legal system in the United States and the various styles of legal writing. Q:What are some of the topics covered in certificate in paralegal degrees? A:The certification in paralegal studies includes a number of topics. Some of the topics included in this certification are Torts and Personal Injury, Contracts, Legal Research Writing and Civil Litigation, Criminal law, Wills Trusts and Estates, Federal Income Taxation, Laws of Evidence and Public Communications Law. These professionals usually find themselves working in both federally administered and private law firms. Q:What will I study in the criminal law course during the legal studies certificate? A:The legal studies certificate requires an overview of all the facets of the law. Criminal law is one such facet. It covers the laws and principles that are in place to prohibit illegal activities and punish the offenders. The course will cover specificities such as components of crimes and the sentencing of offenders in our society. Q:What are the admission requirements for a certificate in legal studies? A:The most common admission criteria for the certificate in legal studies are: the completion of a high school diploma or equivalent GED qualification or higher education, a completed application form, letter of recommendation from a previous teacher, transcripts of previous study and some programs may also have a cumulative GPA requirement.